Alfa Romeo is seeing a bit more success in America than I think even the Italians had expected. I’ve seen a surprising amount of Alfas on the road since the famous brand’s American revival and its sales are not bad, considering its relative lack of popularity and history of poor reliability. 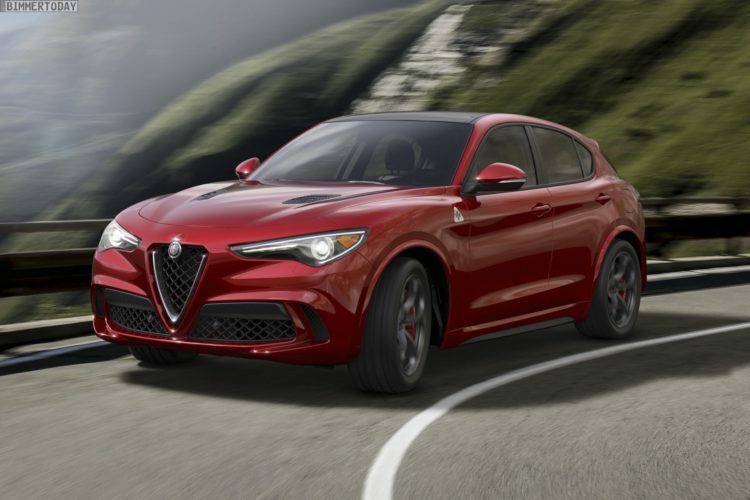 Part of that success has a lot to do with the new Alfa Romeo Stelvio, its first ever SUV. The Italians knew that if they were going to have success in America, they’d need an SUV (Chrysler might have given them some input) and it’s proving to be working. So much so, in fact, that Alfa is planning on making a new, even larger SUV, to take on the BMW X5. It’s a smart idea, actually, as the bigger the better here in ‘Merica. The BMW X5 is a massively successful SUV (I’m sorry, “SAV”) and one that any suburban driver will see about ten of on any given day. So competing with the X5 will be difficult for Alfa but likely worth it, as it could put Alfa in a bigger market and gain it more popularity. This upcoming larger SUV is said to weigh about 200 kg (440 lbs) more than the current Stelvio, which isn’t actually as much as we previously had thought. This larger SUV will also be the brand’s first foray into the world of electrification, as this full-size Alfa SUV will be the first Alfa to receive a plug-in hybrid powertrain. As for standard models, Alfa Romeo plans on offsetting the weight gain, and the extra fuel consumption that comes with it by using an e-turbo setup, much like the Audi SQ5’s, on a four-cylinder engine. “I’m quite happy about the result we have obtained coupling a four-cylinder with the 48-volt e-turbo – I think next time we can also use it in production,” Fedeli told us. “With a 2.0-litre turbo engine you can achieve around 350 to 400bhp. We are driving on a simulator a car like that, we are working on it, and the result is not so bad,” he added. We haven’t actually driven the Stelvio yet (though, such a test drive is currently in the works) but we’re hearing good things about how it drives. If Alfa Romeo can deliver the goods on that car, it stands to reason that Alfa can do so on this larger SUV as well.